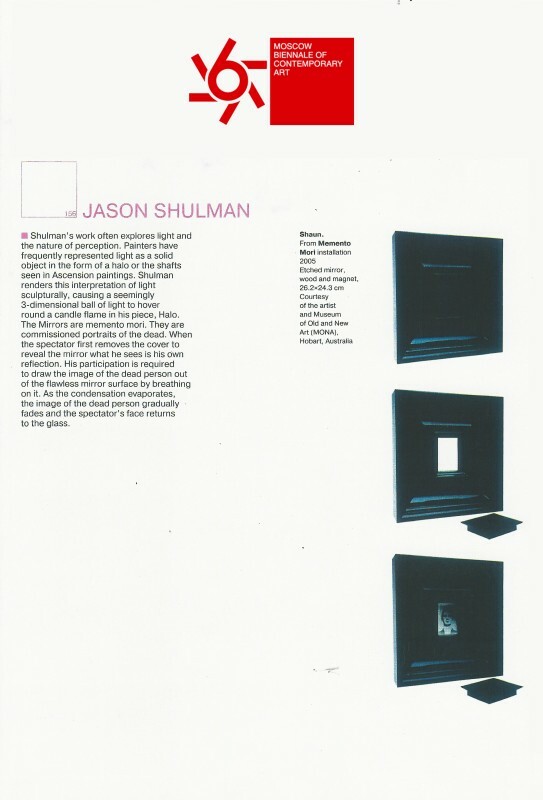 Shulman's work often explores light and the nature of perception. Painters have frequently represented light as a solid object in the form of a halo or the shafts seen in Ascension paintings. 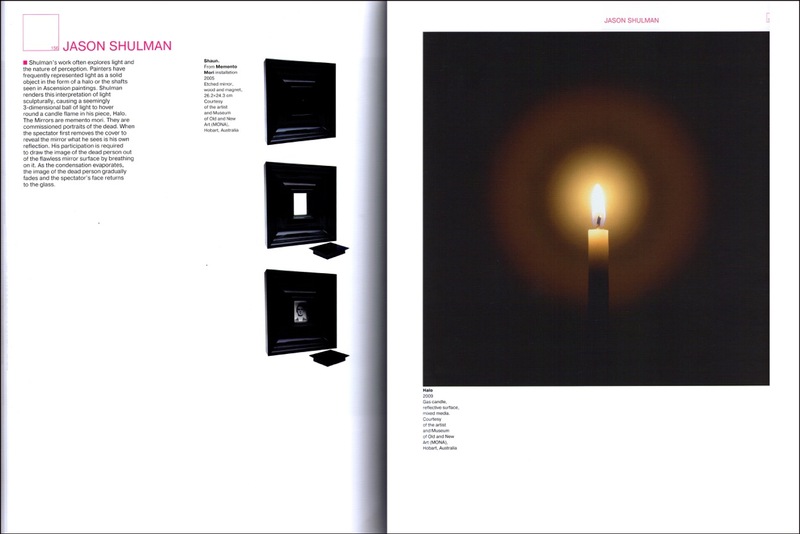 Shulman renders this interpretation of light sculpturally, causing a seemily 3-dimensional ball of light to hover round a candle flame in his piece, Halo. The Mirrors are memnto mori. They are commissioned portraits of the dead. When the spectator first removes the cover to reveal the mirror what he sees is his own reflection. His participation is required to draw the image of the dead person out of the flawless mirror surface by breathing on it. As the condensation evaporates, the image of the dead person gradually fades and the spectator's face returns to the glass.